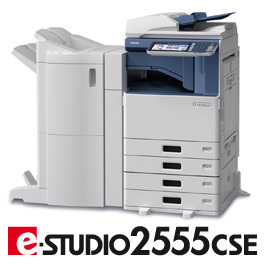 The impact of colour and significant cost savings using the latest technology. 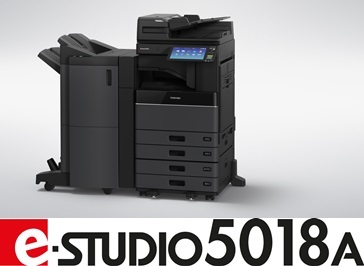 The Logik team bring together the very latest in technology together with specialist support to meet the needs of the most demanding sectors of business. 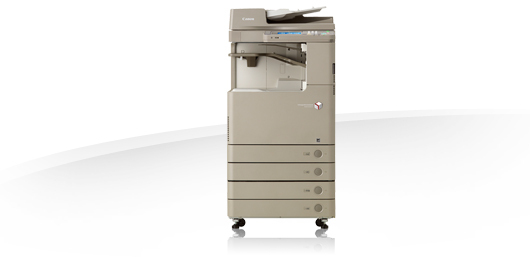 Our independent status allows us to deliver the very highest quality support coupled with the very best products. 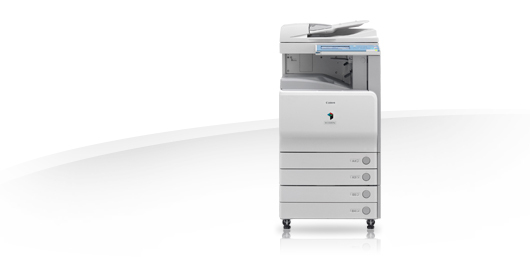 In today’s business environment communication is key, there is nothing that gets your message across like a full colour document. 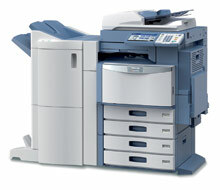 With the new smart LED technology the true cost of colour printing has been reduced significantly. 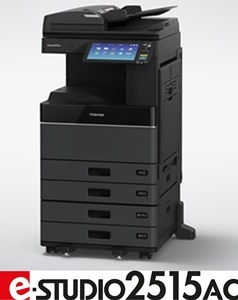 Toshiba colour multifunctional products will recognise that you are copying or printing a fraction of the page in colour and charge you accordingly. 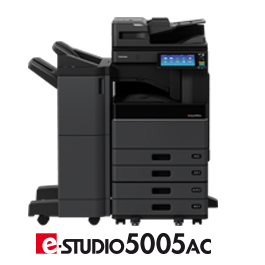 A quiet and user-friendly colour A3 multifunctional copier with class leading print quality and advanced security features. A series of full colour A3 systems with a speed of up to 50 pages per minute to cover your print, scan, copy and fax needs – providing reliable document output with excellent image quality. 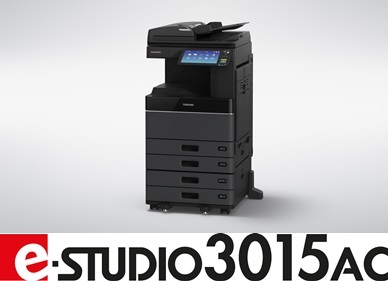 A series of monochrome A3 systems with a speed of up to 50 pages per minute to cover your print, scan, copy and fax needs - providing reliable document output with excellent image quality. The e-STUDIO 3040 is an A3 colour system with intuitive user interface, a unified platform and excellent clarity colour reproduction. 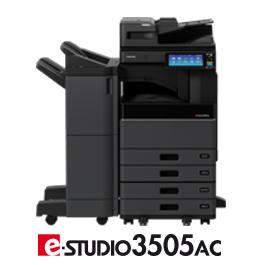 The e-STUDIO 3540 is an A3 colour system with intuitive user interface, a unified platform and excellent clarity colour reproduction. 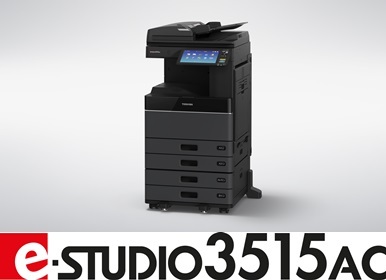 A quiet and user-friendly colour A3 multifunctional copier with class leading print quality offering high productivity. The e-STUDIO 4540 is an A3 colour system with intuitive user interface, a unified platform and excellent clarity colour reproduction. 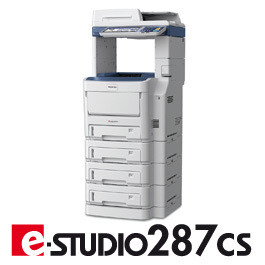 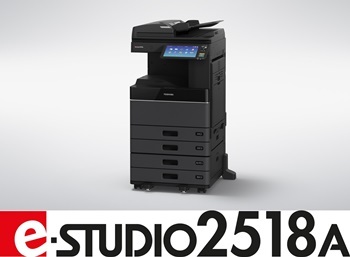 The e-STUDIO287CS is an A4 colour workhorse which is perfect for both SMB's and corporate workgroups alike. 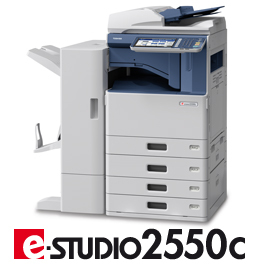 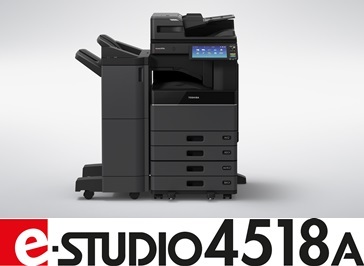 The e-STUDIO347CS is an A4 colour workhorse which is perfect for both SMB’s and corporate workgroups alike. 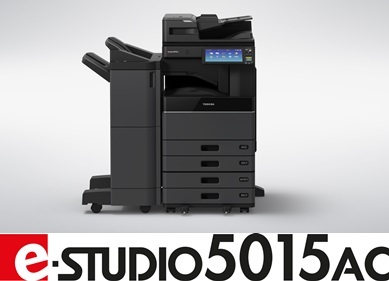 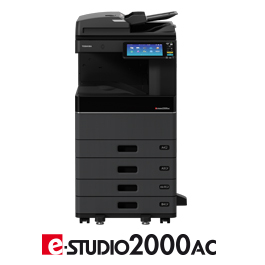 The e-STUDIO407CS is an A4 colour workhorse which is perfect for both SMB’s and corporate workgroups alike. Easy integration, small footprint, A3 multifunction colour.